Dirty Loops seems to be the latest flavor of the week on Youtube. They are currently blowing up all over the interwebs. Check out their cover of Justin Bieber’s “Baby” below. They are managed by multi-platinum songwriter, Andreas Carlsson. 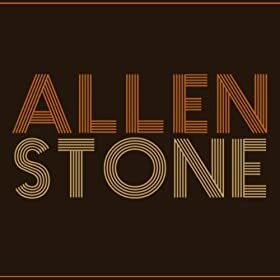 Allen Stone is still a relative unknown in the music world. Rightfully so. His debut album only came out a few months ago. However, his traction and popularity is starting to show online through video views and blog discussions. It’s only a matter of time, but I feel like we have the next up and coming artist that is destined for mainstream success similar to what Adele saw this year. This kid is only 22 years old and his voice is one of the most refined and soulful that I have heard in years. In fact, I would even argue that Mr. Stone might have the best raw vocal I have EVER heard! It’s classic Music’s Master to give the year end title to a relative unknown and up and comer. I guess I’m just drawn to these type of artists. After naming Adele #1 in 2008, look where she is now. If the trend continues, we might just see Allen Stone exploding in 2014. Congratulations, Allen! Keep writing incredible music and unleashing that inhuman voice and vocal range. Here is a video of what I think is one of the best songs of the entire year, “Unaware.” Check out this white boy’s voice as he performs live in his mother’s living room! To purchase the best album of 2011, check it out on Amazon. I clearly do not have the same musical tastes as other music critics. 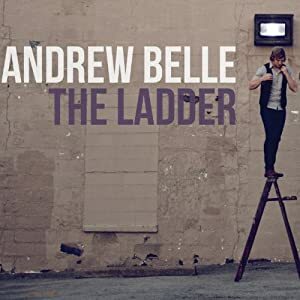 Andrew Belle isn’t getting any love this year for his album, Ladder, and I’m still trying to figure out why. In my eyes, it’s pretty close to a masterpiece. It’s a culmination of all things that make Mr. Belle so gosh darn charming. While I’m accepting that he has been around for a little while and has received the love and admiration that is owed to him, I find it odd that this album isn’t being revered as his “Best work to date.” It, without a doubt, is. If you’d like to buy this album, please check it out on Amazon. I interviewed MUTEMATH back in 2006 following the release of their debut self-titled album. I enjoyed the album very much, but at the time, I didn’t realize just HOW GOOD they were. Over time, that album grew on me more and more, and when their second full-length album, Armistice, was released in 2009, I fell in love with the band all over again, retraced my footsteps back to their debut, and secured a spot atop my list of favorite artists for MUTEMATH. Fast forward to today and one of my most highly anticipated albums of this year, Odd Soul, did not disappoint me. In some ways, this one is their best effort to date. In other ways, they are all so unique and amazing in their own ways that I just want to call it a clean draw all across the board. Either way, Odd Soul is nonstop elevated musicianship that bounces off every single genre wall. 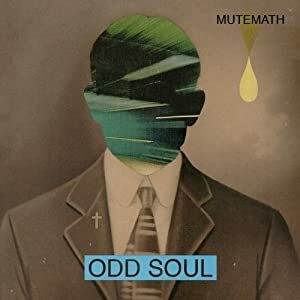 MUTEMATH is probably the single best example of a group that is honestly a sum of all of its parts. The drummer is among the best around today, the guitar riffs are well thought out, and the vocals are as close to perfect as it can come. MUTEMATH is one of the best live acts touring today so if you get the chance to check them out, definitely do so. I, for one, will be in the front row enjoying every minute of it. If you are interested in purchasing this album, check it out on Amazon. One of my favorite things in life is discovering a new artist early and riding their success to the top. I’m exposed to a lot of that – not because I think I am more entitled or better than everyone. I’m just more exposed to young artists at an early stage. I’m also more proactive in finding said artists – mainly because it is my favorite thing to do. Right before this year’s SXSW Conference in Austin, Texas, a young female artist named Oh Land was starting to generate a huge buzz. I immediately gave her a listen and was instantly amazed by her undiscovered talent. Nine months later, Oh Land is one of this year’s indie favorites. Her debut self-titled album is filled with quirky pop songs that have odd tendencies that could be compared to Bjork songs at times. I look forward to what Oh Land can do throughout her musical career. She is definitely a bright and promising star to continue to follow over the years. If you’d like to find out more about this album, you can check it out on Amazon. I’m very surprised that this album isn’t being hyped on every year-end countdown being made. It’s surprisingly only getting a minimal amount of love. Perhaps it’s because it’s not “cool” to like Coldplay, but to me, they’re a band that demands to be respected and acknowledged. Their brilliance is far too unavoidable. 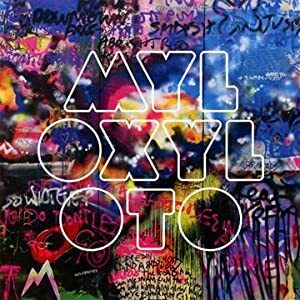 Mylo Xyloto is my favorite Coldplay album to date. Maybe it’s because I got into more right-off-the-bat compared to their previous releases, but I love the diversity laced throughout and the simplicity in their song craftmanship. Mylo Xyloto is more of the same old Coldplay, but features the added dose of what I like to call the “indie sound.” For example, the record’s first song, titled “Hurts Like Heaven” reminds me of the band Phoenix. It’s fast-paced and filled with subtle electronic effects. It’s changes like this that are welcomed and appreciated from my perspective. Call me crazy and relinquish all music credibility from me if you disagree enough, but I feel like Coldplay is the closest thing to a modern day Beatles than we’ve had since them in music. They write great songs, maintain their own sound, keep it simple, and feature some of the most remarkable four-part harmonies in music today. If you’d like to purchase this album, you can do so at Amazon. 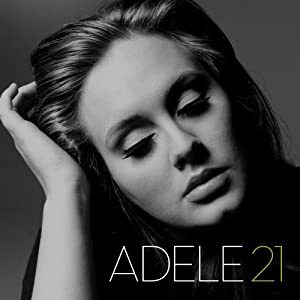 Back in 2008, I was so proud to name Adele’s 19 the best album of the year on this very blog. Boy how things can change drastically in just 3 years. As you must know by now if you listen to the radio or music at all, Adele isn’t a secret anymore. In fact, she broke Billboard records and became the biggest artist of 2011 – by far. Her songs were everywhere and everyone fell in love with a young 22 year old that has the world at her feet. Her highly anticipated U.S. arena tour sold out in just minutes, but later had to be canceled due to ongoing throat issues that subsequently led to a (successful) surgery. Although the charm that Adele brought in her debut 3 years ago is certainly prominent and it’s just about as close to perfection as a pop artist can get, I had to move her down to this 6th spot based on the fact that breaking new artists have become my thing. I can honestly say that all of the remaining albums on this countdown (the top 5) were very close in ranking and it became more about the lesser-known artists than an artist like Adele that already had her chance to shine on this countdown in 2008. Rather than embed a video of one of her 2011 singles that have been played to death this year, I decided to grab a live performance of one of my favorite songs on the record (which happens to be her newest single – Uh oh! ), “Set Fire To the Rain.” Enjoy this, since her live performances have been hard to come by this year. If you are one of the few people in the world that didn’t purchase this album yet, you can do so at Amazon. Although I am a drummer, there is something about drumless music that hits me really hard. It’s magical what just a guitar and a voice (or two) can do with simplicity, a great melody, and raw emotion. 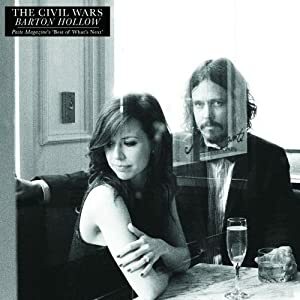 The Civil Wars is a duo that is one of the best exemplifications of that notion that I have ever seen. The duo features John Paul White, whom also plays acoustic guitar, and Joy Williams. Their voices are perfect together and their songs are meaningful and conceptual beyond belief. It’s tough to think about a male/female duo that is better than the Civil Wars. I know that’s a bold statement at such a brief stage in an artist’s career trajectory, but I’m not a fan of the oldies like Sonny and Cher and the Osmonds. I’m pretty sure anyone that reads this blog feels similarly. “Barton Hollow” takes you on an emotional acoustic ride filled with romance, betrayal, and incredible storytelling. I look forward to hearing what the duet does together in the future. Here is the music video for their most popular song to date, “Poison & Wine,” which was featured on an episode of Grey’s Anatomy. To find out more about this incredible album, check it out on Amazon. Passive Me, Aggressive You from Naked and Famous puts a smile on my face. It’s just one of those odd, yet catchy albums that is so delightful to listen to. The mix of male/female vocals – the synthesizers – the tribal beats. Everything is so well-orchestrated on this, their debut effort, that it’s well-deserving of this #8 spot on this year’s countdown. I’m confident enough to say that more people know the song “Young Blood” (embedded below) than know the name of the band. The song was used in multiple media outlets this year and became a melody that almost everyone would recognize. If you’d like to find out more about this album, check it out on Amazon.